Foresight SuperSign To Be the Future of Foresight Group’s Sign and Display Graphics Business. LANSING, March 1, 2018 – Foresight Group has announced the launch of their sign and display graphics business as its own entity, Foresight SuperSign. Having started in the display graphics business back in 2010, Foresight Group’s staff is not new to the industry. 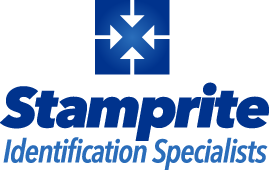 But with a newly renovated headquarters at 1200 Marquette Street in Lansing, and the integration of Stamprite’s staff into the fold, management felt it was time to give the business it’s own space and identity. Part of that progression will be the retirement of the Stamprite name. All Stamprite staff will become employees of Foresight SuperSign. Located directly across the street from Foresight Group’s Lansing headquarters, the renovated Foresight SuperSign building will become the showroom and production facility for display graphics and sign services. 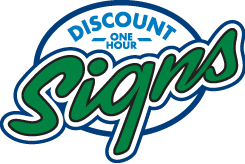 Discount One Hour Signs will keep their own name and remain in their own facility on Michigan Avenue, for the time being. For further details about Foresight SuperSign, please contact your Foresight Group or Stamprite sales representative or call Bill Christofferson at 517-749-0670.